My kids are totally fascinated with bins lately. They love to put things in them, take things out and even sit in them (lol). 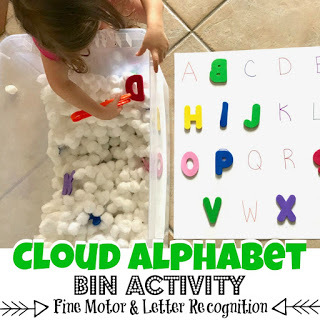 That’s why this Cloud Alphabet Bin Activity is perfect for them! It is designed to help young learners practice letter recognition, matching and fine motor skills. It’s perfect for toddlers, preschool, pre-k, and kindergarten age kids. 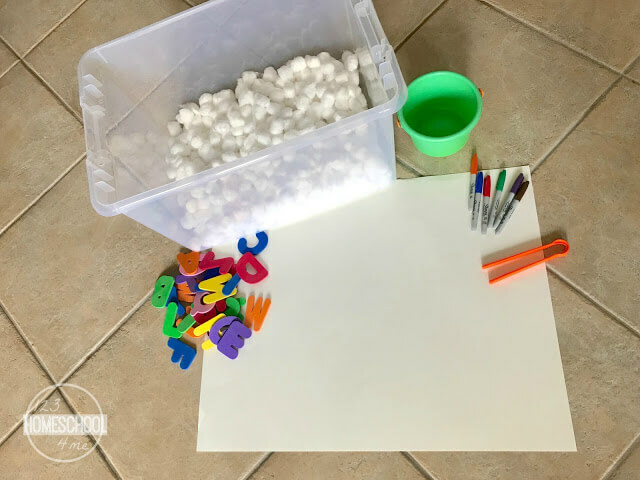 Bucket (optional) – I just kept the letters in the bucket until I was ready to put them in the bin with the cotton balls. Gather all the materials you’ll need for this activity. 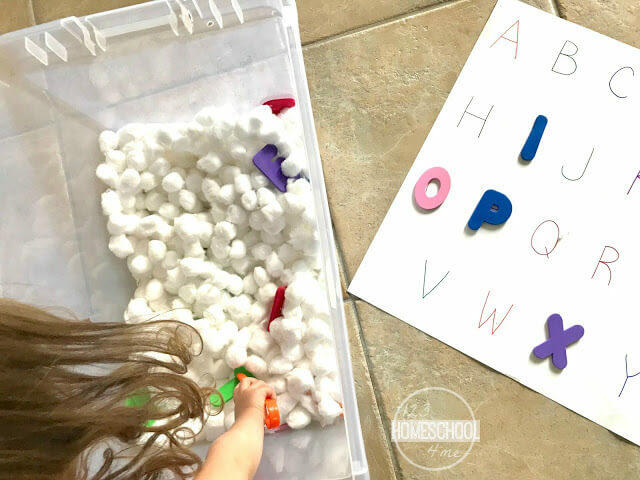 Fill the bin with the cotton balls and throw the alphabet foam letters in. I like to let me girls mix the letters around a it in the bin while I continue to get the activity ready. They love that! 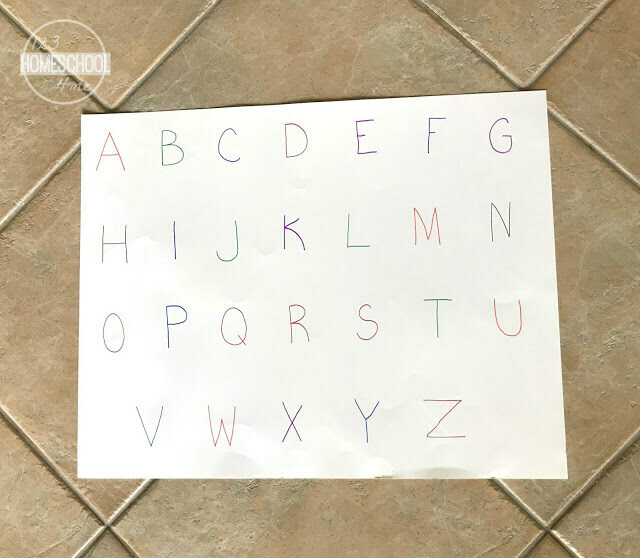 Then write the letters of the alphabet on the poster board. Once I was done getting tis activity ready I gave my daughter the tongs. We then went over the letters on the poster board and I told her it was her job to rescue the letters from the big cloud in the bin. She had to return them to their home on the poster board by placing the letter on the match letter on the board. I also told her she couldn’t use her hands! She could only rescue them by grabbing the letters with the tongs. I did one example with her and then let her go! This Cloud Alphabet Bin Activity was amazing! 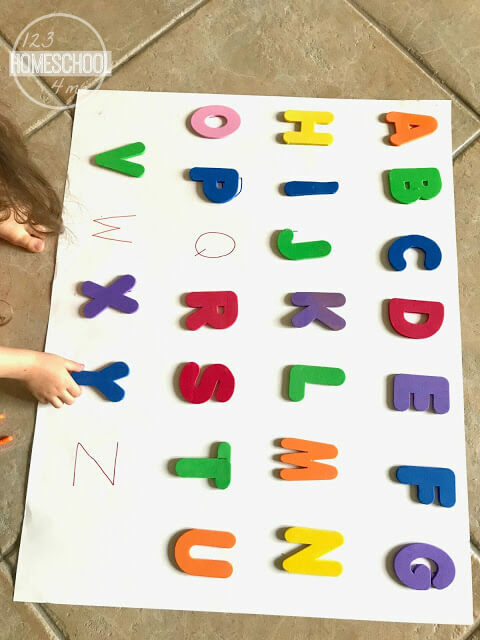 My daughter had so much fun and really enjoyed reviewing the letters of the alphabet. 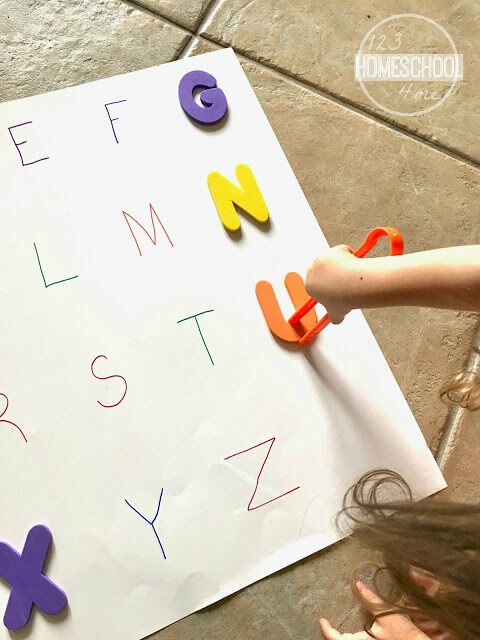 Your kid/kids will love practicing letter recognition, matching and fine motor skills with this activity at home or in the classroom. Do this activity today and start the learning fun!